Free Tooth Fairy Certificate Courtesy SavingAdvice.com! 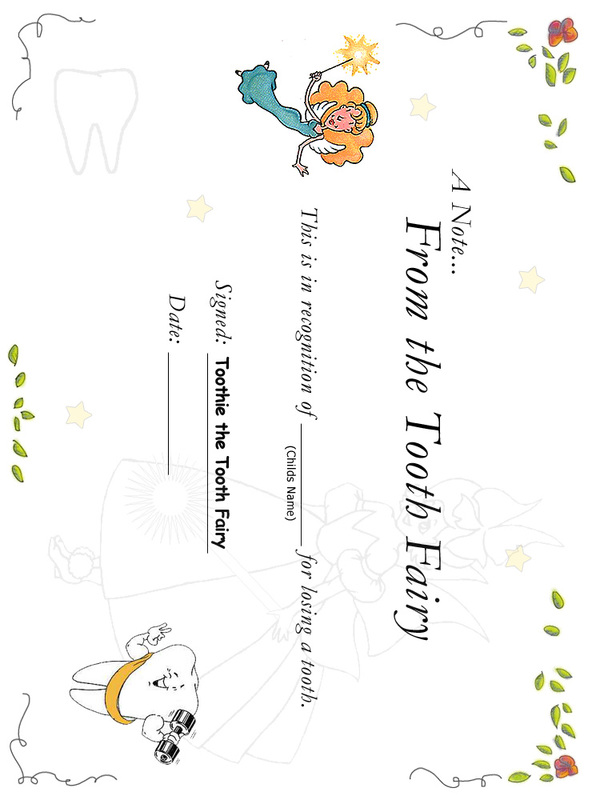 Below you'll find a Tooth Fairy certificate that you can print and give to your child along with - or in place of - money. We also suggest that you place some glitter or confetti as "Tooth Fairy Dust" when you leave the money and certificate. To learn more about giving money from the Tooth Fairy, read our article The Tooth Fairy & Money. If you and your family are looking to stretch your dollars, take a few minutes to look around the site. We have thousands of tips and tricks and an active community that loves to help people get their personal finances in order. While you came here for a free Tooth Fairy Certificate, stick around a bit and you may leave with hundreds of extra dollars in your bank account. 1) Right click on the image and click "Save Picture As". 2) Save the image to your desktop. 3) Open the image and click the print icon. 4) Click "Next", "Next", "Next". 5) Under Available layouts, click "Full page photo print" and click "Next". Copyright ©2002-2005 SavingAdvice.com. All rights reserved. This certificate is for personal use only. It may not be copied onto any other website for distribution. Last edited by nate; 06-04-2012, 11:13 AM. I have used this certificate with my grand-daughter and she really enjoyed getting the pretty certificate along with alittle money to feed "piggy" with. Her mother enjoys getting the certificates to put in the children's baby books for rememberences of time gone by.